Coffee research. 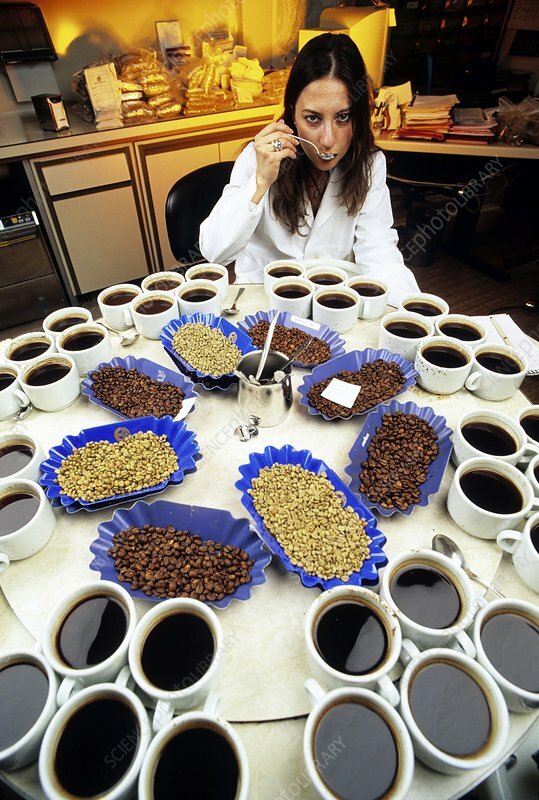 Researcher tasting different varieties of coffee in a special room to allow her to evaluate the aroma and feel. Photographed at the Lavazza factory, Turin, Italy.